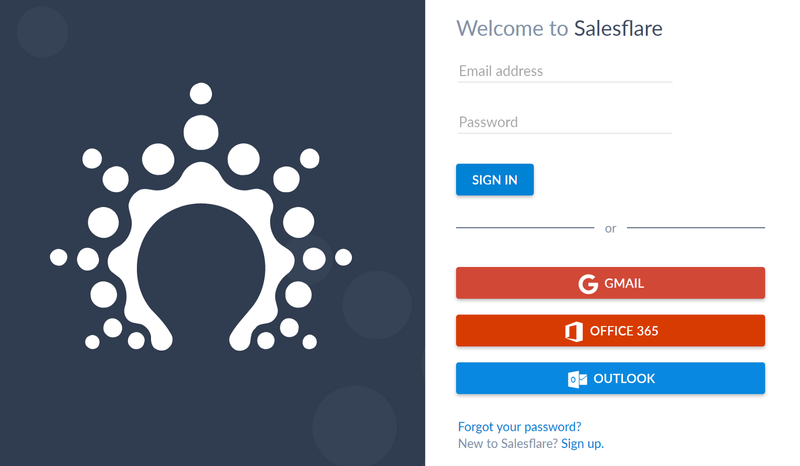 From now on you can store *all* your customer data in Salesflare. Just add some custom fields. We already support the following types: short text, long text, number, single select, multiselect, autocomplete, tags, dates, and URLs. On top of that, we’ve added some predefined fields. Why? Lost reason: Indicate why you lost an opportunity and report on it. This field was standard before, but can now be turned off if you don’t like it. Start date: Did you create an opportunity way before it started? There’s a start date field to make sure it appear in the right way in the reporting, with the correct sales cycle duration. Lead source: Want to keep where your leads are coming from? Add a lead source. Probability on individual opportunities: Are stage level probabilities not enough for you? Then turn on the probability field on opportunities. Thinking of other predefined fields we could add? Just shout! Keep your customer data in custom fields. Are you a Google, Office365 or Outlook.com user? Then you’re in luck. No need to fill out or remember your Salesflare password anymore. You can just sign up or log in with your email account. Do you sometimes wonder who you recently came in contact with? From now on, Salesflare shows how many new contacts you have. And which ones. Check out the red indications on the contact tabs. Know how many new contacts you have. And which ones. People asked us whether it would be possible to create an account from a contact. Now it is! Just open a contact who is not part of an account yet, and click the “Create account” button. An account will be created with that contact, prefilled with all the available information. Up till now you could not delete a contact, because it has great implications on the automation. It is possible now. And: Salesflare keeps the full history with deleted contacts, so you never forget what you discussed. Have a ton of suggestions on an account? Just click “Accept all”. Have a few that you don’t want to accept? Then you can reject them first by clicking on the red crosses. Accept all suggestions in one click. We’re always there for our users through email, Skype, Twitter, LinkedIn, Facebook Messenger and phone. We communicate the way you like it. To make it even easier to reach us, you can now chat with us right from the app. And from the website. Just click the “Support” button and we’re happy to help! Chat with us within Salesflare.